The original native population have developed an allergy to the synthetic coral. This might be the cause of the original plague. 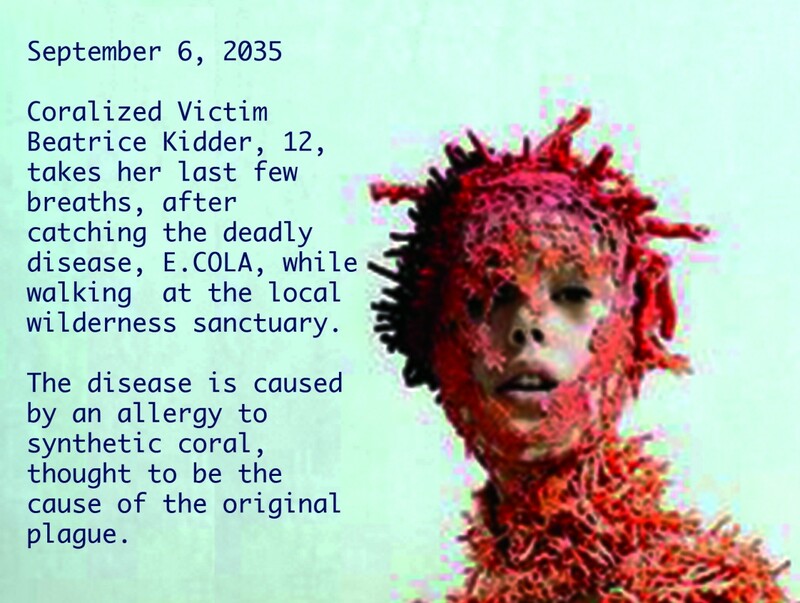 (2035) In the sanctuary, we found the six Riloan students coralified. They were off the path of a tour. Michelle Yu, Geoff, Mark Huber, The Falstrups, and Patricia.